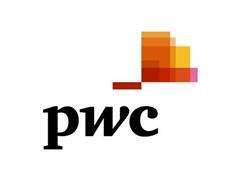 PwC joins RE100 committing to 100% renewable power for its electricity consumption. New air travel offsetting programme targeting multiple benefits and backed by strict criteria. PwC’s new global environmental commitment to reduce carbon emissions, source 100% renewables for its electricity consumption, and offset all business air travel has been reinforced with membership in the RE100 initiative of global businesses growing the global demand for renewable energy, led by The Climate Group in partnership with CDP. While driving efficiency to reduce the absolute carbon impact across the network’s business linked to energy use in offices and travel, PwC will offset all air travel emissions from July 2018 and source 100% renewables for electricity consumption and offset residual energy use by July 2022. The commitment applies to 21 of its largest firms accounting for 88% of revenues in 2018, with the intent to extend coverage over time. PwC joins over 150 major companies globally who are accelerating the demand for – and delivery of – renewable energy across the globe by committing to power their own operations with electricity from renewable sources. Many PwC firms have long been strong performers at a national level in managing their carbon impact and showcasing innovation in the sector. This includes PwC UK, who achieved an 85% reduction in emissions associated with energy use over the last 11 years, and PwC Netherlands, who have introduced an internal cost of carbon. The new commitment enables PwC to baseline a consistent target across its major operations globally. Over the past year, even as PwC continues to grow, its emissions were down by 4% (to 592,293 tCO2e), and emissions per employee were reduced by 7% (to 3.19tCO2e). Over the last three years, emissions per employee have fallen by 14% (from 3.69 to 3.19 tCO2e). Sixty percent of electricity used by PwC’s largest operations (representing 88% of revenues) came from renewable sources, the highest ever level reported for the network. In addition to joining RE100, PwC has committed to offsetting unavoidable emissions linked to air travel by investing in a range of voluntary carbon offsets. Carbon offset projects prevent, reduce or remove greenhouse gas emissions to compensate for emissions occurring elsewhere. Investing in these projects allows PwC to have an immediate and positive impact. PwC network firms will select from a portfolio of offsetting projects to reflect their local priorities. Strict quality criteria have been set, including ensuring offsets are verified by an independent third party to an established standard or protocol. The projects will need to drive multiple benefits, including helping to create renewables markets, support local economic and social development or to create sustainable landscapes. Amongst the project portfolio are a biodiversity reserve in Borneo, a wind farm in Turkey, a cook stove project in China and a landfill gas project in New York state generating electricity for 18,000 homes and creating 420 acres of new wetlands. The projects PwC and others are supporting have collectively helped nearly 3 million people, protected or restored 656,000 hectares of forest, generated 209,000 MWh of clean energy and created over 570 new full time jobs. The global ambition is one of two announced to extend PwC’s impact and reach in support of environmental and societal goals, and builds on work already being undertaken by firms across the entire PwC network.